Celebrate Commemorate Memorial Day, 20th Anniversary! Complete Streets make communities and neighborhoods more livable by ensuring all people can get safely where they need to go – from work and school to all the errands and strolls in between. By increasing ones connectivity to their neighborhood streets, quality of life improves for all. 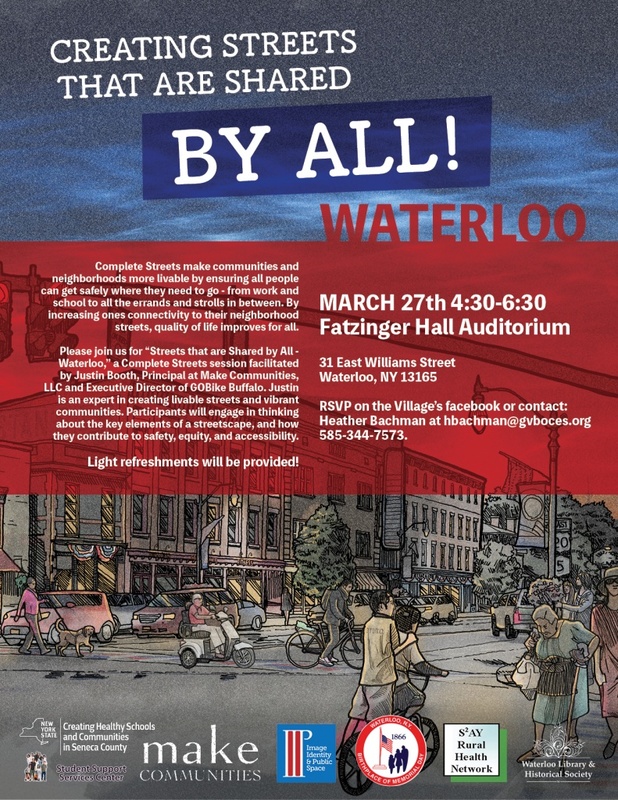 Please join us for “Streets that are Shared by All – Waterloo,” a Complete Streets session facilitated by Justin Booth, Principal at Make Communities, LLC and Executive Director of GOBike Buffalo. Justin is an expert in creating livable streets and vibrant communities. Participants will engage in thinking about the key elements of a streetscape, and how they contribute to safety, equity, and accessibility. The Village of Waterloo is seeking a full time person for the Refuse Department. This position includes all duties necessary for the Village Solid Waste (Refuse) pick up operation, including the operation of the refuse truck. A CDL is required. This full time position is within the DPW Association and includes the Village benefit program. Please forward a resume including all related job experience to sjones@waterloony.com or by mail to the Village of Waterloo, 41 W. Main St., Waterloo, NY 13165, Attn: Mike Forde. Or you may call the Village Office at 315-539-9131. Washington, D.C. — The American Planning Association (APA) recently named Main Street in Waterloo, New York, as one of five Great Streets on the organization’s annual Great Places in America list. Main Street will formally receive its national designation from the American Planning Association at an event that will be held behind the Waterloo Town Hall on October 14. You can find more information about the event below. Celebrating its 10th anniversary, APA’s Great Places in America launches National Community Planning Month and recognizes streets, neighborhoods, and public spaces in the United States demonstrating exceptional character, quality, and planning—attributes that enrich communities, facilitate economic growth, and inspire others around the country. The Great Neighborhoods, Great Streets, and Great Public Spaces of 2017 are places that are unique and exemplary in their amenities and infrastructure, cultural identity, and use of sustainable and innovative practices. 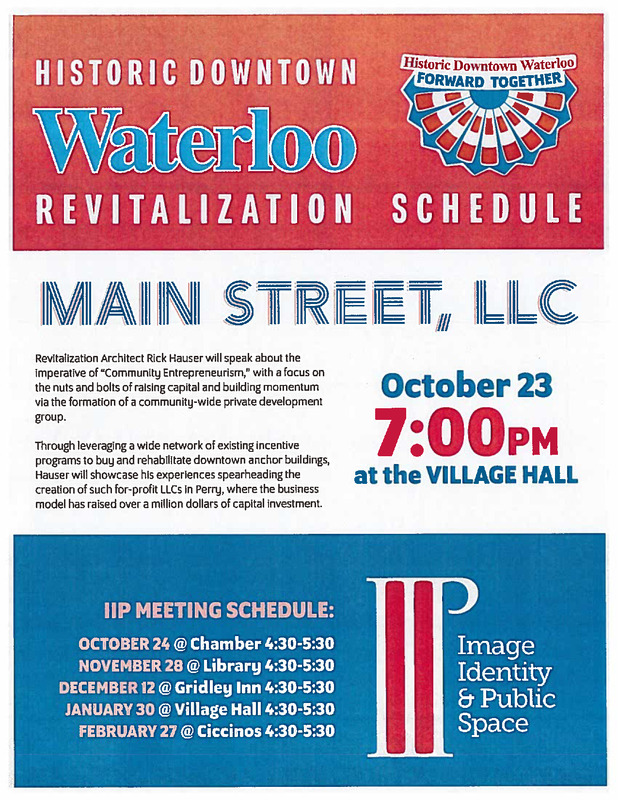 The Village of Waterloo is an example of a unique, beautiful, and safe community that is deeply connected to its past, while moving confidently into its future. The village is achieving this in a focused, organized way by crafting its first ever Comprehensive Plan, with Main Street as the central focus. 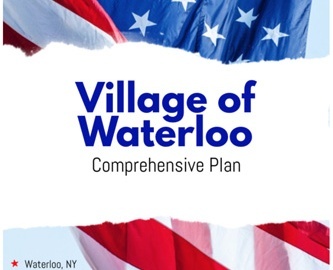 With a population of roughly 5,000, the plan for Main Street is truly a community effort that will honor Waterloo’s rich history as the officially-recognized birthplace of Memorial Day, while also positioning it as a community poised for progress. To date, APA has designated 275 Great Places around the country. To learn more about this year’s Great Places and previous designees, visit www.planning.org/greatplaces. For more about National Community Planning Month taking place throughout October visit www.planning.org/ncpm. Welcome to the first edition of “Good News Waterloo”! It is the intention of the Village Board to improve communications with our residents. We feel that many good things are happening here in the Village or will be happening soon & we want to keep everyone informed. You will also receive a hard copy included with your water bill. Hours 8:30 a.m. to 5:00 p.m.